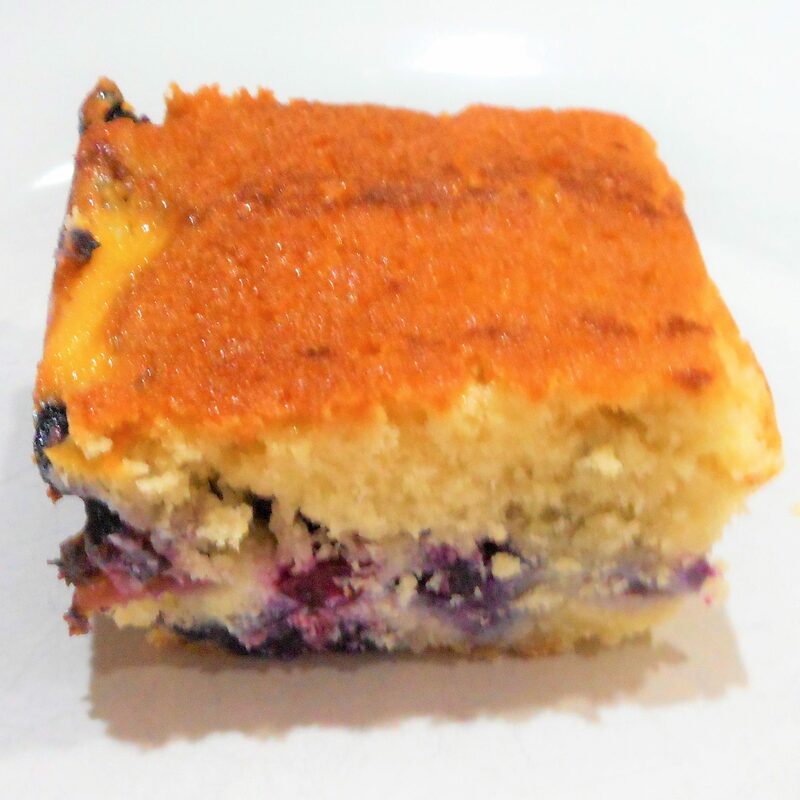 This blueberry coffee cake with a ricotta cheese cake topping is best made the night before. Warm each serving briefly in the microwave, if you like. 1. Preheat the oven to 350°. Grease a 9 inch square baking dish. 2. In a large bowl, stir together the flour, 3/4 cup of sugar, and baking powder. Add the milk, shortening, 1 egg, and lemon extract, and use an electric mixer to mix on low speed for 1 minute, then on medium speed for 1 minute. Pour the batter into the prepared pan, and spread evenly. 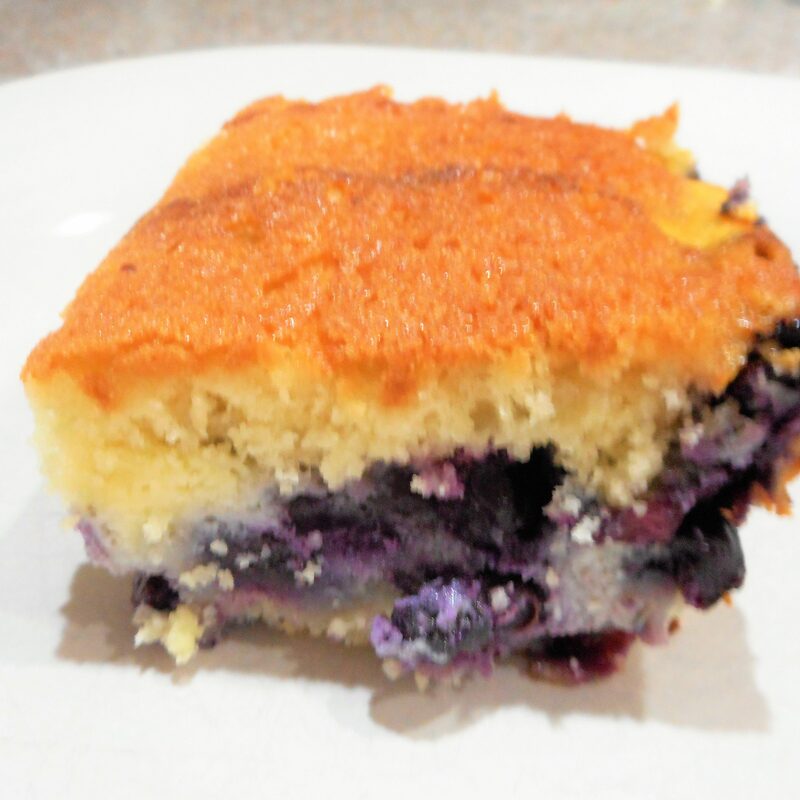 Sprinkle blueberries over the batter. 3. In a medium bowl, stir together 2 beaten eggs, ricotta cheese, 1/3 cup of sugar, and vanilla extract. Spoon this mixture over the blueberries, and spread evenly. 4. Bake for 55 to 60 minutes in the preheated oven, until a knife inserted near the center comes out clean. Cool completely before cutting into squares and serving.